MasterCard and Visa charge a standard interchange fee on all foreign currency transactions. For most cards it is 3%, but ours is only 2%. So, if you are withdrawing local currency, you are getting the best possible rate minus 2% interchange. Even taking this into account, the exchange rate with MasterCard is better than any other payment transfer option. Now, if you are withdrawing USD, most foreign banks still take a cut (otherwise they would pay MasterCard or Visa for the transaction). 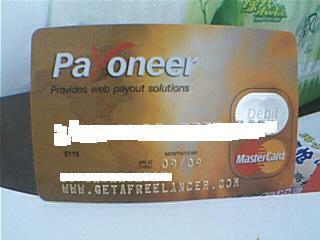 I do not know in this case whether it is a Payoneer fee or a bank fee, perhaps Talia can elaborate.